At Least One Billion M2M Connections Expected By 2020; Two Billion Milestone Achievable If Market Accelerators Are Successfully Deployed. Cellular machine-to-machine (M2M) communications will account for at least 10 per cent of the global mobile market by 2020, according to a new study by GSMA Intelligence, the research arm of the GSMA. It is forecast that cellular M2M will account for almost one billion (974 million) of the 10 billion total mobile connections expected by 2020 if the market develops at its current trajectory. However, the study highlights several factors that could stimulate further growth in the sector, potentially leading to as many as two billion cellular M2M connections by 2020 – double the current forecast. Cellular M2M accounts for about three per cent of global mobile connections today. 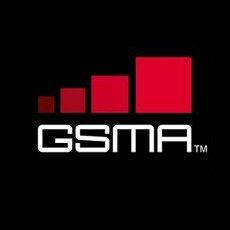 The new GSMA Intelligence study, “Cellular M2M forecasts and assumptions: 2010-2020”, was published at the GSMA Mobile 360 Series-North America conference taking place this week in Atlanta. The study counts M2M connections that access mobile networks (‘cellular M2M’) and excludes consumer electronic devices such as smartphones, tablets and e-readers. “Mobile networks are the platform upon which the M2M industry is being built and mobile operators are at the forefront in shaping the new business models that are driving this exciting market forward,” said Hyunmi Yang, Chief Strategy Officer at the GSMA. At the current rate of trajectory, cellular M2M connections will grow at 26 per cent per year (CAGR) in the period between 2014 and 2020. However, according to the report, this growth rate could accelerate beyond 40 per cent a year if desirable market conditions are achieved, leading to the potential two billion cellular M2M connections globally by 2020. There are a number of areas identified as possible growth stimulators, including: the introduction of additional government policies aimed at encouraging wider deployment of cellular M2M in key sectors such as utilities, smart cities, automotive and healthcare; reductions in M2M module costs; and the development of standardised APIs. China and the US are already established as the first and second largest cellular M2M markets globally in terms of connections and will continue to remain so through to at least 2020. These two markets combined are forecast to account for approximately half of the global total expected by that point. China’s large cellular M2M market is attributed to significant investment by the government, underlining the important role of regulatory initiatives in stimulating M2M growth. The US market is being driven by strong growth in the automotive, smart homes and utilities sectors in particular. On a regional basis, cellular M2M connections are expected to account for around 27 per cent of total mobile connections in North America by 2020, the highest proportion of any global region. Cellular M2M in this region currently accounts for approximately one in 10 connections. The full report, “Cellular M2M forecasts and assumptions: 2010-2020”, is available to GSMA Intelligence subscribers and to accredited members of the press on request.